Looking for a job in Scioto County Ohio? The following guide provides a listing of Scioto County top employers to include local government employment portals, healthcare job links, and a variety of schools that provide great teaching and support staff careers. 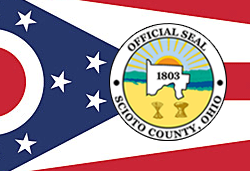 Scioto County periodically posts job openings on their website. Please check back often as postions are posted and pulled weekly. Visit their site for current listings. The City of Portsmouth provides employment applications and links to various job seeker resources including Employment Services, Workforce Connections, and Manpower Temporary Services. Portsmouth Public Library posts employment opportunities when vacancies become available. Here you may find open positions such as Part-time Homebound Services Clerk, Part-time Circulation Clerk, and Part-time Custodian. King's Daughters Medical Center Ohio offers services ranging from physician visits to surgery, urgent care, cardiac catheterization and inpatient stays, King's Daughters Medical Center Ohio is your choice for world-class healthcare in Portsmouth and Scioto County. Here you may find open positions such as Advanced Practice Registered Nurse Jobs, PRN Nursing Jobs, Registered Nurse RN Emergency Care, Registered Nurse RN Portsmouth Urgent Care PRN, APRN, Registered Nurse RN Cath and Vascular Department FT, and RN Operating Room. Southern Ohio Medical Center (SOMC) is a 222-bed hospital in Portsmouth, Ohio, providing emergency and surgical care, as well as a wide range of other health-care services. Medical Imaging Jobs, Benefits Compliance Manager, Bus Driver, Call Center Clerk, Licensed Practical Nurse LPN Jobs, Cardiac Cath Lab RN, Cardiac Cath Lab Technologist, Clinical Dietician, Clinical Documentation Specialist, Credentialed Medical Assistant, CT Technologist, CVOR Surgical Tech, Group Fitness Instructor 2, HIM Coder Level I, Hospice Social Worker Lead (MSW), Housekeeper, Non Patient Care Housekeeper, Lab Technician Assistant - Pathology, Urgent Care LPN, Licensed Practical Nurse Cardiovascular, Manager of Medical Staff Recruitment, Medical Lab Technician, Medical Office Licensed Practical Nurse, MRI Staff Technologist, Nutrition Aide, Pharmacy Tech, Pharmacy Technician Jobs, Phlebotomist EKG Technician, Physical Therapist, Behavioral Registered Nurse, Surgery Registered Nurse, Registered Nurse ICU, Medical Surgical RN, Emergency Room Registered Nurse, Progressive Care Unit Nursing Jobs, RN Rehab Nursing Job, Secretary/Admin Assistant- Healogics, Ultrasound Technologist, and Urgent Care Tech. BridgePort Healthcare Center is a part of CommuniCare that provides skilled nursing short-term recovery and rehabilitation. The Counseling Center, Inc. offers a wide range of services to help individuals with substance abuse, mental health, and physical health. Interested in a career with The Counseling Center? Hit "Apply Now" on their website to send THE Counseling Center information about your career interests. Heartland of Portsmouth had job openings for Dietary Aide, State Tested Nursing Assistant STNA, Registered Nurse RN, Licensed Practical Nurse LPN, Certified Occupational Therapy Assistant / COTA, Physical Therapist PT, Speech Language Pathologist PRN, and Nursing Home Administrator. Bloom-Vernon Local School District posts certified teaching jobs, classified, and coaching positions when vacancies become available. Clay Local School District provides directions for how to apply to become a Substitute Teacher or Aide, Substitute Custodian, and School Bus Driver or Substitute Bus Driver. Green Local School District located in Franklin Furnace, provides employment opportuntities for administrative positions, teacher postitions, classified positions, and supplemental positions when openings exist. Minford Local School District was accepting applications for substitute custodians, bus drivers, and secretaries. Portsmouth City School District had been accepting applications for substitute custodians, substitute bus drivers, substitute cooks, and substitute latchkey. Valley Local School District periodically hires teachers and support staff. Check for new listings. Notre Dame Schools seek qualified people to serve as Substitute Teachers when the occasion arises. Substitutes are credentialed through the Diocese of Columbus. If interested in becoming a Substitute for the Notre Dame Schools, follow their directions provided. Jobs are available now in public school districts, community schools, educational service centers, and other education related organizations in our consortia. Hundreds of jobs are available! High school, middle school, and elementary teaching positions along with administrative, certified, and classified jobs. We also help districts fill positions in food service, custodial, secretarial, bus, athletic coaching, substitute teaching, and more. Shawnee State University is one of the fastest-growing public universities in the state of Ohio, with more than 4,000 students currently enrolled and more than 500 faculty and staff who provide excellent education and services. Visit their sote for a variety of faculty and support staff employment opportunities. The Scioto County Career Tech Center posts employment opportunities when vacancies exist. Craigslist Portsmouth / Craigslist Chillicothe Classifieds Help Wanted may include job openings such as Painter, Courier, Driver, Route Driver, Retail Jobs, Home Health Aide HHA, Automotive Technicians, Apartment Maintenance, Custodial Jobs, Sales Representative, Receptionist, Administrative Assistant, Grounds Maintenance, Dispatcher, Work From Home Jobs, Truck Driver, Caregiver, Mechanic, Security Officer, Entry Level Jobs, Food Services Jobs, Office Assistant, Maintenance Tech, and more.